Postpartum anxiety is real and it is no joke. Any mommy knows that aside from having a baby, our hormones are all over the place anyhow! So, let’s add the hormonal unbalances of making a child inside our body! Many people assume that postpartum depression and anxiety is due to the scary thoughts of how to learn how to be a mom. Speaking from experience…that doesn’t always have anything to do with it! It’s a major misconception about postpartum anxiety! They think, oh, she is struggling because she is a new mom. Or she just went from being a mom of 1 to a mom of 2. She’ll be ok.
Well, what about postpartum anxiety over here! *Insert waving arm*. Helloooooooo! So, What is Post Partum Anxiety? What are the Physical Effects of PPA? What should you do if you think you Have Post Partum Anxiety? Is Post Partum Anxiety Treatable? 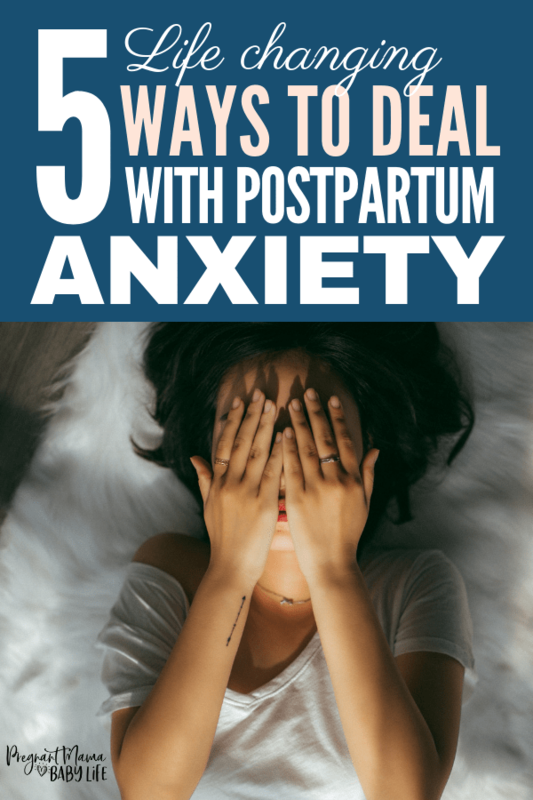 What are the next steps now that you think you might suffer from Post Partum Anxiety? Pretty much it’s the “other baby blues”. It’s an overwhelming amount of mental noise. Noise that is constantly in our heads and it creates congestion in our brain. It’s a ton of negative thoughts in our mind that just repeat, over and over and over again. It’s on a loop. We recognize that these are irrational thoughts, but we have no clue how to quiet that noise down. 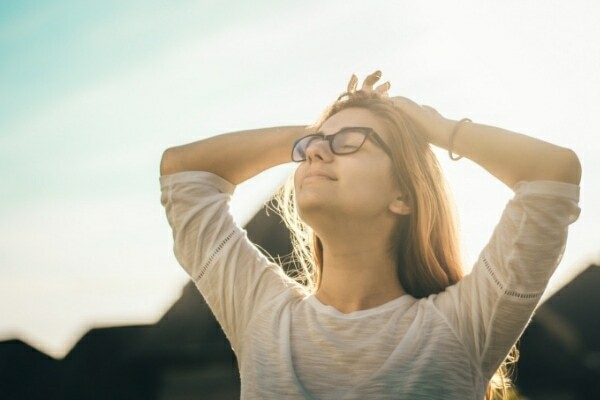 Having some time to yourself to decompress will help suppress some of those negative thoughts. It’s important to have me time. I know, how do you do that when you are a busy mom? There are definitely ways to carve out me time so that you can practice more self-care. Postpartum anxiety doesn’t necessarily need to happen right when you have a baby. My symptoms didn’t come out until 11 months post baby. So you could still be suffering from this even if you think you are too far post baby. That is a misconception. Making a baby is so hard on our body, and things happen to us! It’s like I wasn’t present in the moment. The world around me was blurry and out of focus. My ears would plug up and the noise around me was muffled. Then, IT, happens…the terrible awful full blown panic attacks. All I have to say about that is ugh. Parents.com explains how you want to put a label on what this is and you can’t. There isn’t always an escalation or onset of these physical symptoms. It can happen at the snap of a finger. That is where the dread and avoidance of situations come in to play. You never know if you go to a crowded place with the kiddos, if you are going to have one of these episodes. Therefore, you make excuses why you can’t go. When I started dreading certain parts of my day such as driving or going into crowded places, I would avoid it. That’s when I knew my PPA was pretty bad. I knew I had a problem bigger than me, and I needed to troubleshoot this. I used to beg my family for us to leave somewhere and go home because I was having an anxiety episode and I wanted to go home. It ruins everyone else’s time and then I felt extreme guilt. If any of this sounds all too familiar to you and you can relate to this article, make an appointment with your Primary Care Physician. I had no clue what I was going through when this all reared its head in my life. I thought it was thyroid and a whole bunch of other stuff. When I talked to my PCP about this, she gave me a medicine that I was supposed to take if I felt the anxiety symptoms. The problem with that was, it put me to sleep immediately. So there was no way that I could take this medicine when I had my child, or when I needed to drive etc. Oh my goodness yes! Take a deep breath right now and relax because you just heard the best news all day that this is treatable. Now I will tell you that at first, the medicine worked great and took the edge off. Then, my anxiety continued, so I scheduled an appointment with the LPC. I had 10 sessions total, but the first 3, I didn’t feel like it was helping. I almost quit going. Then, I continued going and breakthroughs started to happen. I remembered my counselor saying she just discharged a patient for anxiety and panic attacks, and that they had 9 sessions. I remember thinking, oh wow I hope that can be me someday. I didn’t have much hope that I would be able to conquer this postpartum anxiety monster. Ahhh, the words mothers from all over the words live by. But it is so very true. Do not spend time dealing with this when you do not have to. You CAN be freed of this. Seek the professional help that you need and start your journey to overcome this! Time is an issue for a lot of us. My sessions were an hour long, so I wasn’t there all day. This is 1 million percent worth your time. You are worth feeling better mama. Contact your PCP, and they will hold your hand from there and guide you the right way. You will never understand the power of your pretty little nose until you need it to get you through a horrible anxious moment. Your nose will save you in these situations! Trust me on this. I carry a “portable container” in my purse. It’s a cotton ball and an essential oil in a baggie. If I think I am going to feel out of sorts, you can just smell it real quick. Your beautiful snout will immediately send happy signals through your body and it will help take you out of the uncomfortable anxious moment. Headspace is an amazing meditation app. It will remind you when its time to meditate and it will time you as well. Meditation does not mean you need to set aside chunks of time in your busy mom life to sit in a quiet room. Although that would be lovely wouldn’t it. I know I know. How in the world are we supposed to make ourselves to exercise when we are battling postpartum anxiety and feel less than par? That’s simple. Just do it. You will feel so much better if you just get 10 minutes of something that gets your heart rate up a little bit. A brisk walk, jumping jacks, yoga on youtube etc. It doesn’t have to be a lot. A lot of my PPA problems started exactly when I stopped exercising. It is important to get out there and have hobbies and clear your mind. Sometimes just venting to someone we trust, is a way to get PPA to calm down. It’s almost like PPA can hear us talking about them and then it decides to slink off into the wilderness. A loved one doesn’t need to comment or offer advice. It’s just to say out loud what is bothering you and sometimes that helps so much. You can 100% overcome your postpartum anxiety! Work hard at it. Make it a priority. You are a beautiful mama and you deserve the best life! *If you are struggling with severe anxiety or depression, please seek the help of a medical professional. Things can get worse very quickly for some. This is a guest post from Meagan from Meagan’s Life with Littles, where she helps moms figure out how to balance busy mom life while still making time for yourself and your hobbies!